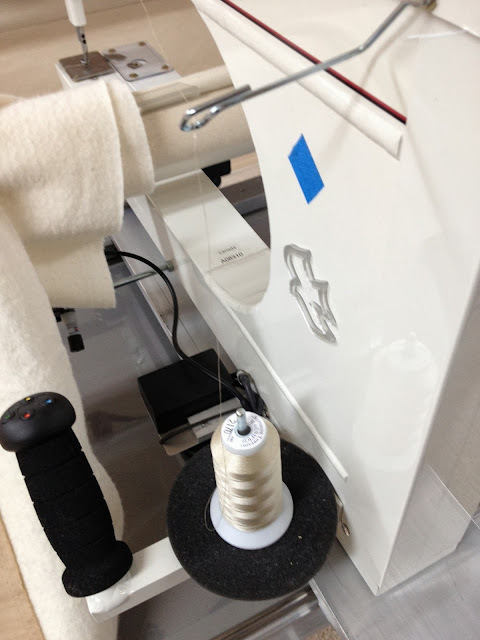 I've been asked by a few people how to get started or improve their machine quilting skills, whether it be by longarm or just your standard domestic machine. All I can say is practice, practice practice. PPP. 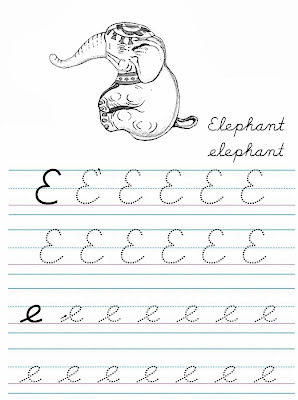 It really is like handwriting - remember in grade 3 when your teacher taught you handwriting? Did he/she give you the entire alphabet all at once? No! 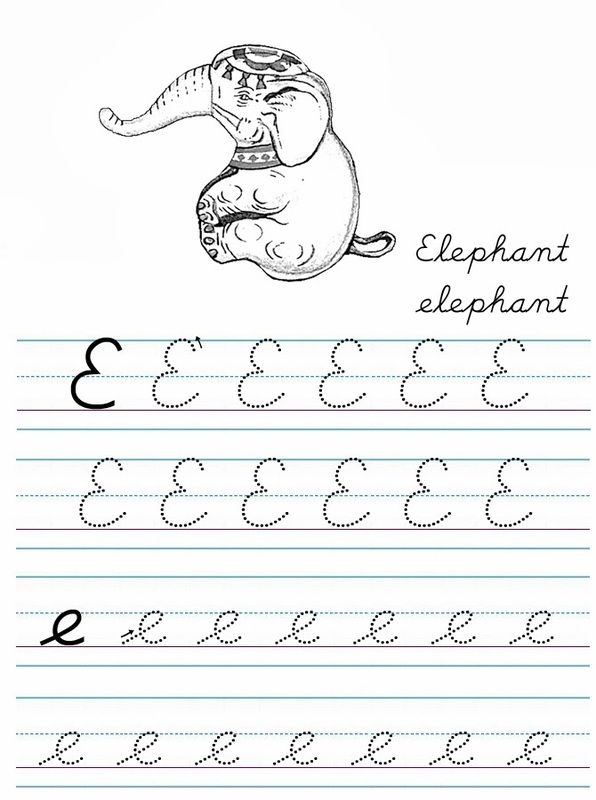 You practiced a couple of letters each day - with similar shapes at a time. That is exactly how I work on my machine quilting skills. lower case e's and l's are really good practice for loops in machine quilting! Another thing to note - you will never have the exact same swirls as Angela Walters or feathers as Claudia Pfeil. They all have their distinct 'flavour' in their stitching, just as we all have our own distinct handwriting. The goal is to get those shapes consistently looking nice and gaining confidence to try new ones! There are some basic shapes in machine quilting - curves/arcs, S shapes, hooks, straight lines, and loops. From these basic shapes you can spring into more complicated ones. I practice mostly using a whiteboard on my lap - while I'm watching TV, but I do use a notebook/sketchbook to practice as well. Once I have the shape reasonably comfortable in my practice, then I move to the machine and practice there. When I practice, I focus on one particular shape or design that I am trying to master, until I get it into memory - or muscle memory as they call it. Think of when you JUST learned how to form that letter 'a' in handwriting, you really had to think of the steps of how to make that 'a'....and now years later (many many many many for me ) you don't even think of how to form it now. That is muscle memory. Luckily, your teacher had you mastering that 'a' within a few days or weeks, right? It will happen in quilting for you, too. So, I have listed a few easy machine patterns that I do to practice some of the easier shapes. The easier the shape, the more I focus on things like changing size; travelling across the quilt without getting stuck in a corner; and filling the spaces evenly. Believe it or not, I STILL go back and practice a plain ole meander once in awhile! The very first thing to do would be some simple S curves and arcs - that would be the basic meander! all of the names I call these practices are made up by me - there could be an actual name for them, but this is what I call them. 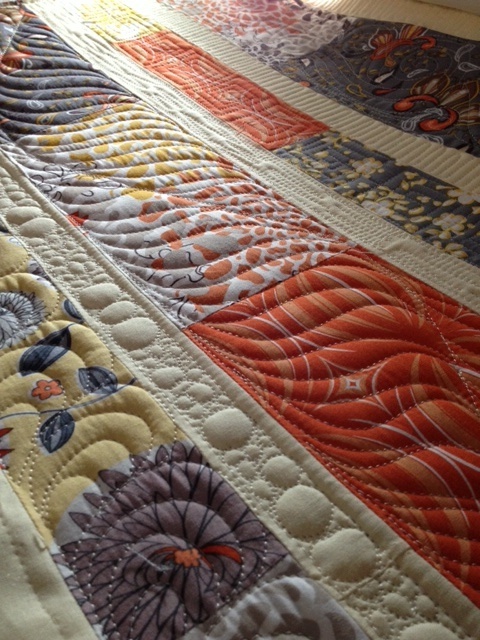 On Quilting Tension - a tip! 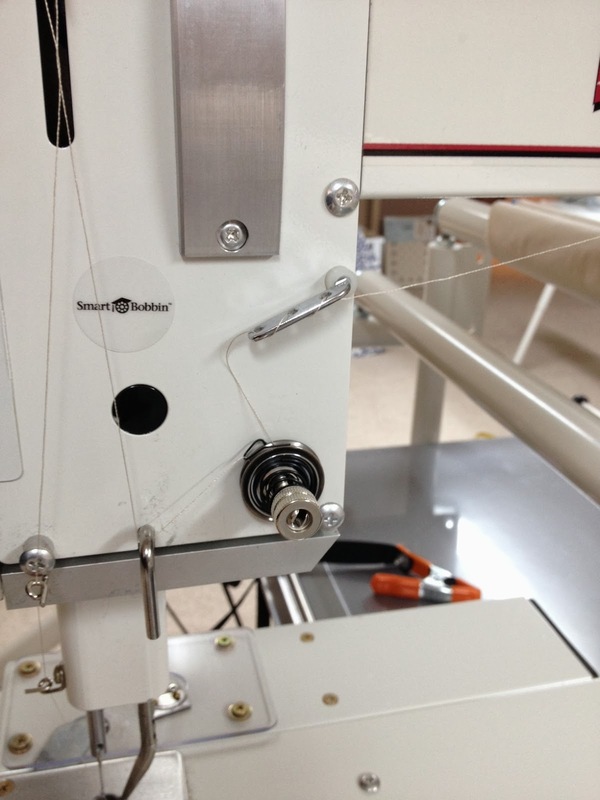 I'm quite fascinated at how a wee change can affect tension on my APQS quilting machine. 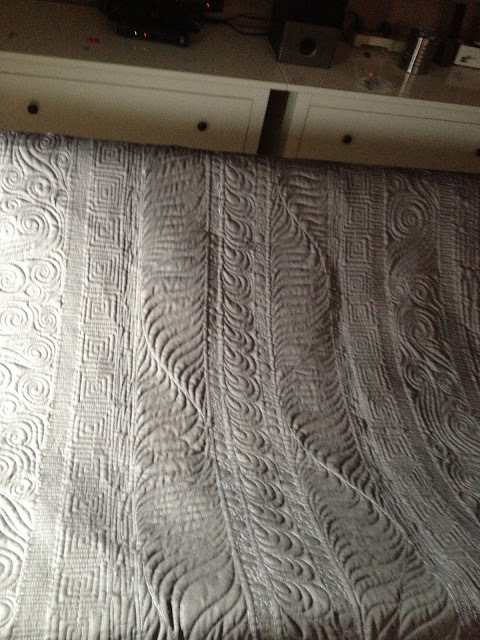 Here is some experience I have gained with quilting tension. Little tiny adjustments make HUGE differences. On this quilt, I had two moments of 'railroad' tracks on my backing. See how the thread kind of sits on top of the fabric, a bit of looping, and the thread isn't sinking in? See the 3 hole thread guide just above the tension dial? The position above is in the 7o'clock and 1 o'clock angle...this is how it should NOT look. Here I tightened it back to 8 o'clock and 2 o'clock angle and the tension fixed itself. Just that slight tweak gives a little more tension on the thread. Another issue I came across which makes me laugh at how trivial it seems, but makes a world of difference. You can even see in the photo above, the thread just hanging there very loosely. 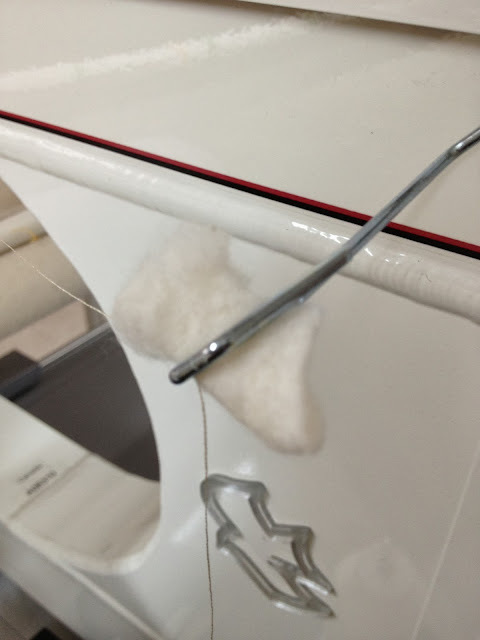 If you stick a tiny wad of bating in the thread guide (loosely, just so that the thread doesn't escape) so that it has a bit of friction when going through, the tension corrects itself. I figured this out when I ran out of bobbin thread, the top thread often breaks. Then, the wad of batting somehow pops out of the guide. Not paying attention to this minor detail, I continued quilting and got poor tension (railroad stitches on the backing) I realized the little wad was missing - popped it back in, and the tension was beautiful again. 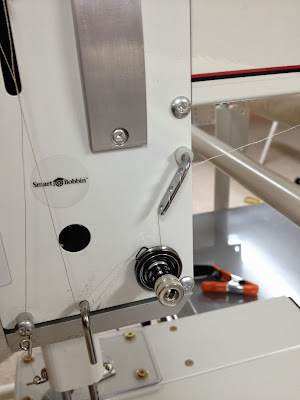 When I get the time, I'll blog more about some tension tips and tricks for the newbie machine quilter. Have a great day! 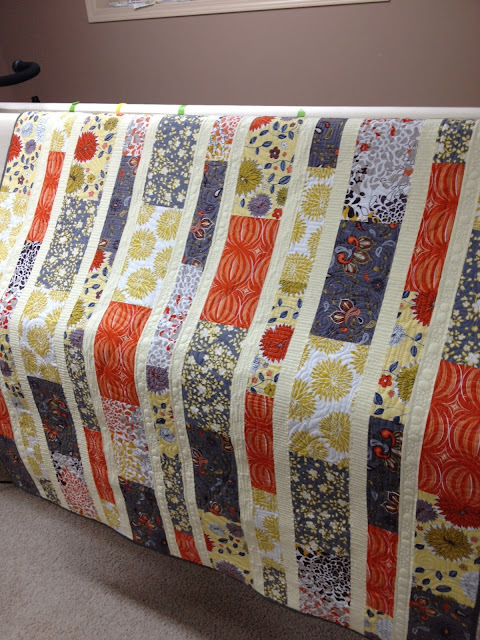 Carol completed her first quilt, a rail fence, with these beautiful neutral colours. I used the pantograph called Love Doodle, and it turned out beautifully. I think we have another quilter blooming in our community! She did a fabulous job, and I hope she is motivated to continue with more projects. The original Love Doodle Pantograph that I had was a little small and too dense for this quilt. I went to my local Staples and enlarged the pantograph sample to adjust the size. The enlarged pantograph worked much better with the blocks, and was a softer effect. edited to add: I contacted Urban Elementz regarding resizing the FREE pantographs that I had downloaded and there is no issue to size the free pantos on that site. I am addicted to texture. ...and still trying to find the right way to photograph a quilt with texture. This was an older quilt top I finished awhile back and never had the courage nor the skills to quilt it as I would like. It's just a small one, a pattern I made up on my own. There really wasn't much of a plan, I just wanted to do something that had symmetry and a lot of texture in it. I especially wanted those little yellow sashings to sing. A note: I used a 100% cotton sheet from Ikea for the backing. 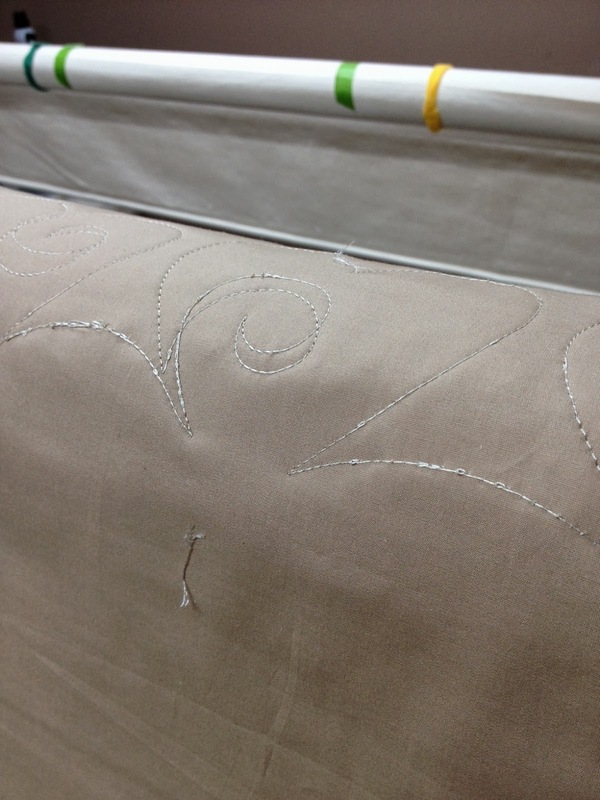 Like I had read and had been warned about...tension on the back is sometimes an issue with sheets because of the tight weave. I did experience this, but wouldn't completely stay away from doing it again either. I have been enjoying summer with my family. That's all. And quilting like a madwoman for the charity Quilting for Calgary - flood quilts. So far, the count of approximately 1300 completed quilts are sitting in the warehouse awaiting distribution this weekend. How totally incredible!! Now that we're back to September and routine...I am too. 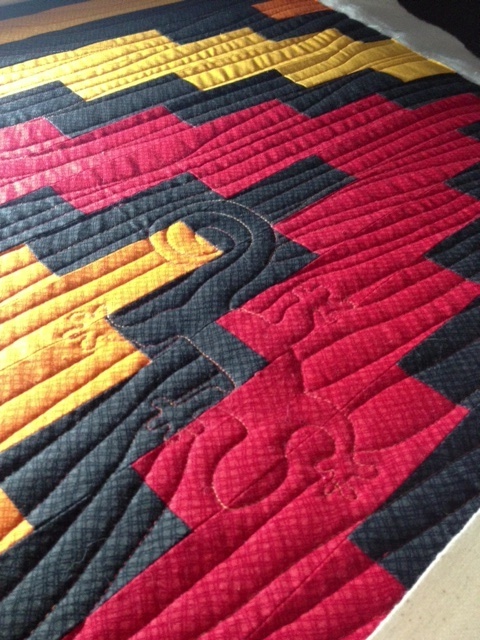 adding geckos to a gorgeous Southwest inspired quilt by Sheila.